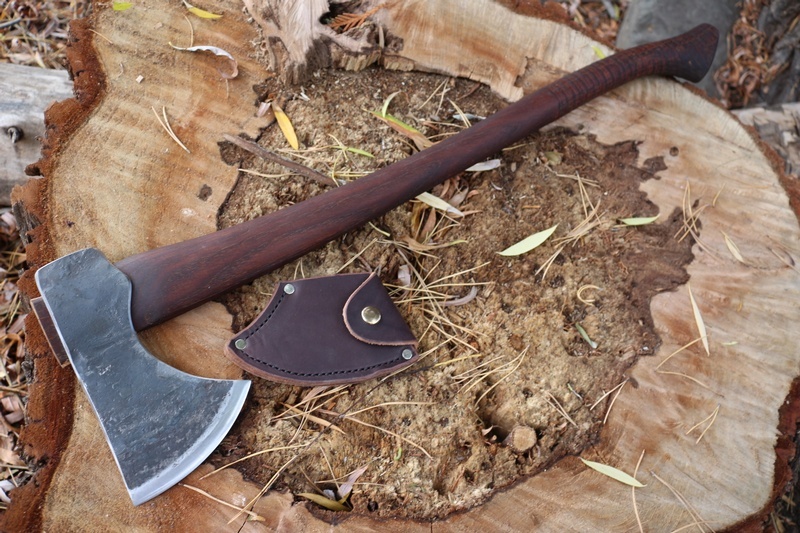 Hand forged in the USA, this is a 2.5lb Felling and Cutting Axe from H and B Forge. 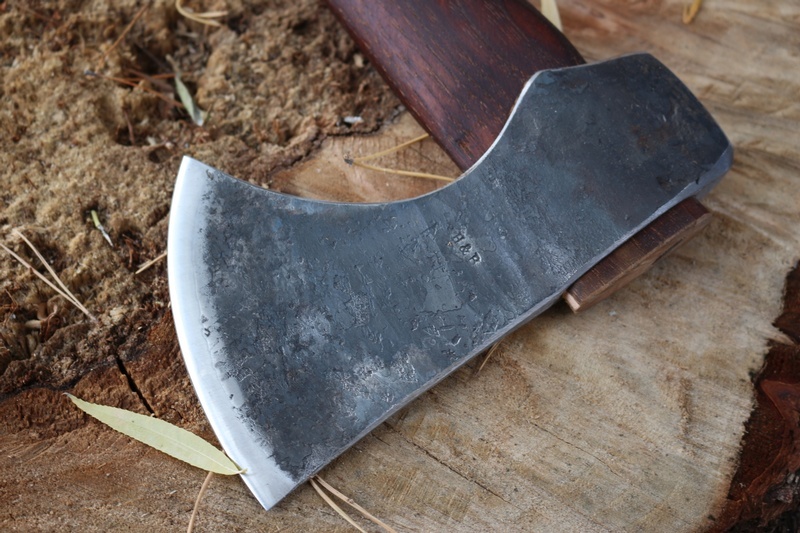 Hand hammered from 1018 steel with a cutting edge of 1095, this axe is a great tool in the woods, ideal for general felling and limbing etc. Wood and steel wedge head, nice single bevel (slight convex) and comes with leather head cover. Both handle and Leather cover are made by a local Amish community. The blade is about 4 inches from top to bottom and about 7 inches across the top. 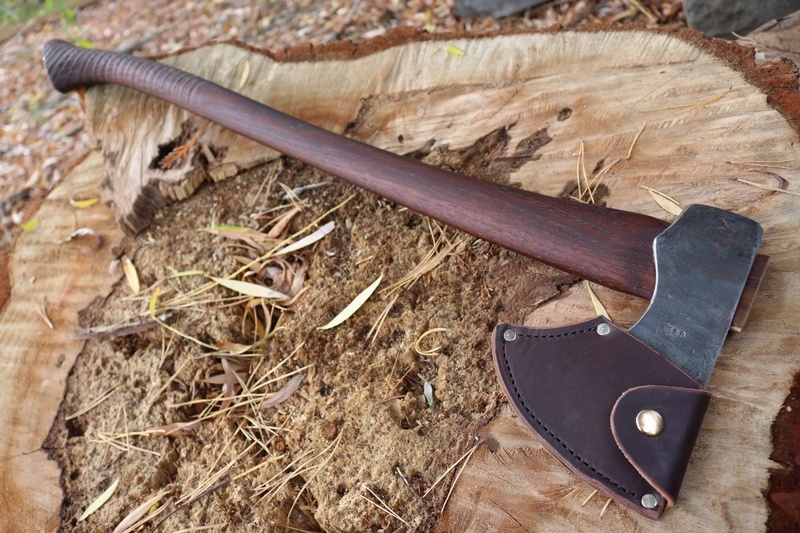 The handle is 25.5" inches long, made of kiln dried hickory. 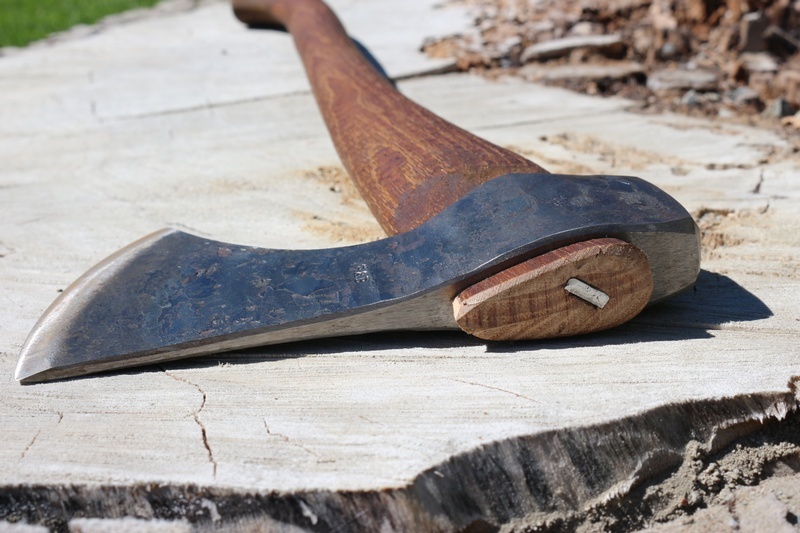 The bottom of the handle is larger and ridged for easier handling. OAL is 28". 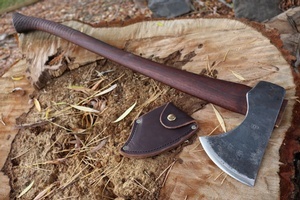 Purchase through PayPal by using the "Add To Cart" button above or use the form below to order the H and B Forge Felling Axe and Cover . Feel free to contact us if you have any questions about the H and B Forge Felling Axe and Cover .